The initial design for Phase I of The Center for Arts, Innovation & Creativity has been completed by Selser Schaefer Architects and funding for Phase I construction is now in place. It is anticipated that site preparation and construction in the downtown Broken Arrow Rose District will begin next year with completion targeted for 2019. As with any project of this type, the expenses related to providing artistic, cultural and social services are significant. 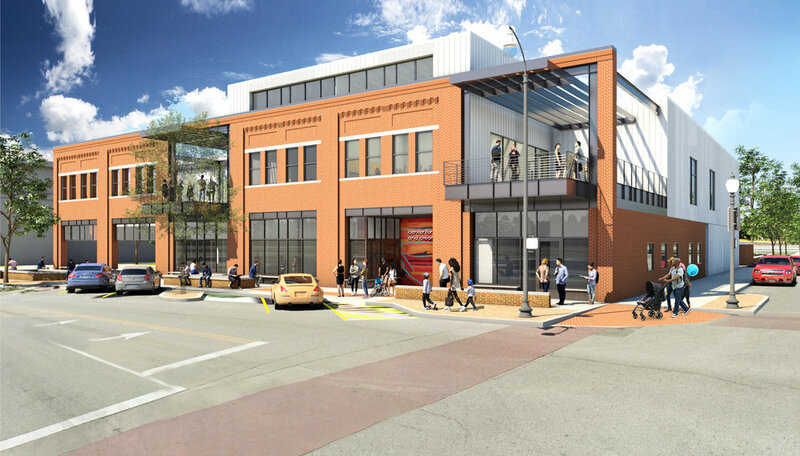 ARTSOK will have operational and administrative supervision over the new Center for Arts, Innovation & Creativity and is spearheading the campaign for annual operational support. We are requesting that you or your organization assist us in meeting our operational funding goal of $500,000. In addition, naming rights to the new center are still available and open for discussion. We are excited about the opportunities the Center will provide for the children, youth and adults of the Tulsa metropolitan region and hope you will be a part of the vision! Please call (918) 520-5715 for more information.